Does your heart desire red jewelry for Valentine's Day? 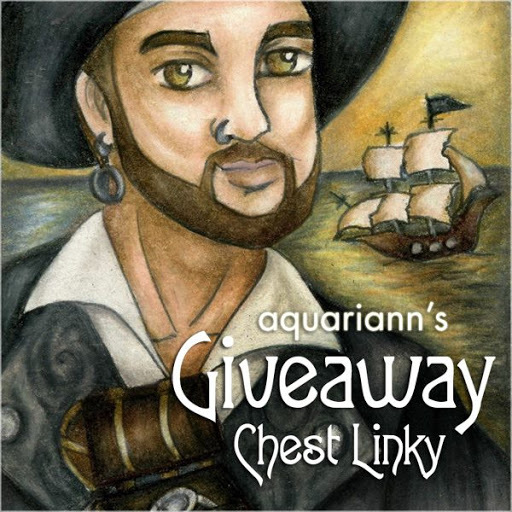 Branch out to Life is the Bubbles, Athenianaire, 7PM Boutique, oBo Creations and Beadmask for ravishingly red necklaces and other heart-shaped jewelry gifts. 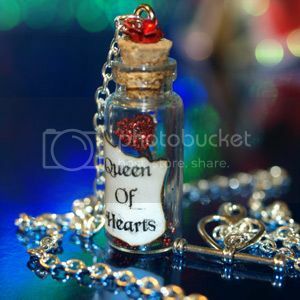 Better whisk Life is the Bubbles's Queen of Hearts necklace away from Wonderland before the terribly terrific tyrant tries to find her magical staff! Her sparkly heart wand has been captured in a glass bottle and sealed with a red rose. 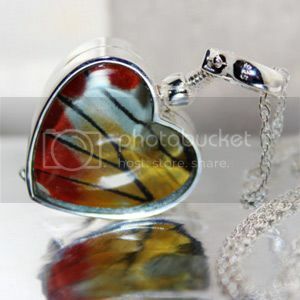 The bottle pendant is 1.5" and hangs from a 19.5" silver chain that closes with a heart-shaped toggle clasp. Wear the Alice in Wonderland souvenir proudly but don't let its mad magic go to your head! Athenianaire's real butterfly wing necklace will make your heart flutter. Delias hyparete (Thailand) and Morpho zephryities (Bolivia) wings are safely encased in heart-shaped glass, framed in .925 stamped sterling silver. The glass is smooth, clean, and bubbles out just the right amount for an amazing magnified and elegant look. The heart pendant measures 1.5" tall and about .75" wide. The butterfly pendant soars from an 18" sterling silver chain. 7PM Boutique's silver heart earrings are a simply elegant way to accessorize for a Valentine date. The dangle earrings are embellished with white agate gemstones that measure 12x14mm. 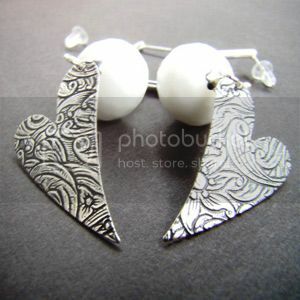 The earwires, findings and decorative hearts are all silver plated. The total earring length is 70mm. 7PM Boutique has several other pretty heart jewelry pieces in stock, so it was a tough decision choosing which handcrafted accessory to feature! Beadmask's clockwork glass cameo necklace is truly a one of a kind piece of steampunk art! 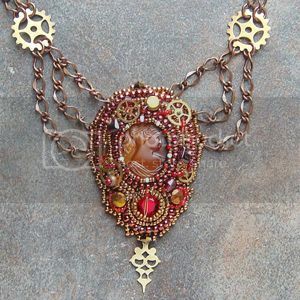 The fantasy pendant is entirely hand crafted using an assortment of vintage and unusual elements, including a brown cameo, ruby red Swarovski stone, genuine garnets, old brass gears and antique glass beads. The bead embroidered pendant is sewn one bead at a time and then backed with luxurious ultrasuede. The chains flow in a dramatic Edwardian style drape. 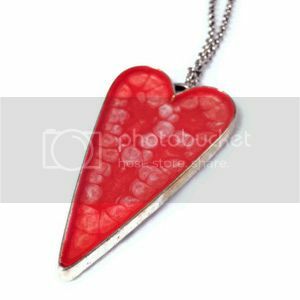 oBo Creations' red heart pendant is a perfect Valentine's gift for her to wear as a casual or statement necklace. The hand painted pendant is embraced in antique silver bezel. The painted heart has been created using her signature technique and materials to achieve that bright coral red with shades of pearl pattern. She then glazed it with resin to protect and add dimension. The truly magical pendant measures 1x2" and hangs from a 23" chain. I like the cameo necklace. 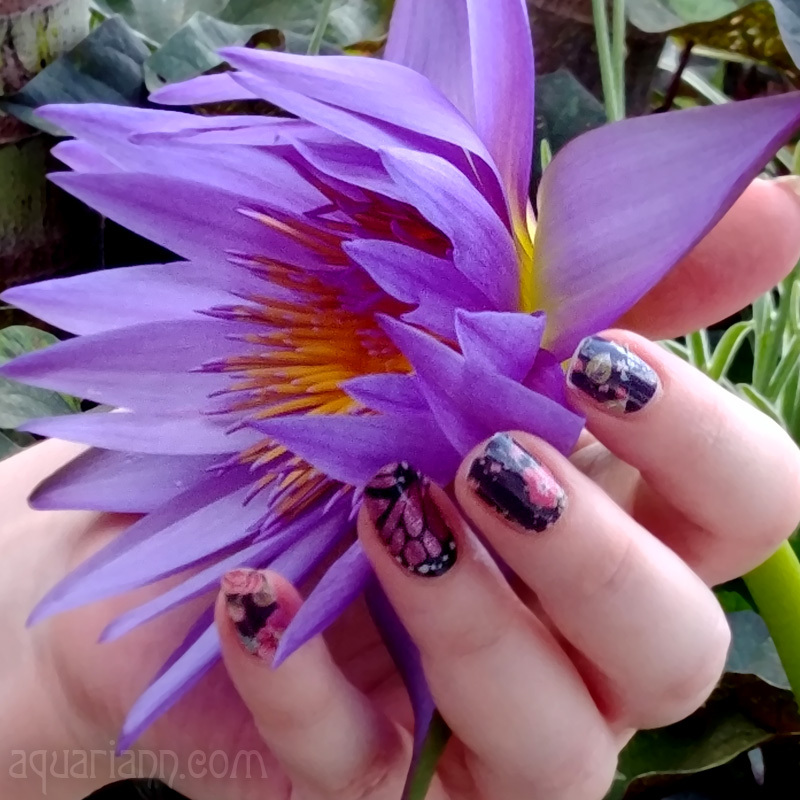 The butterfly wings are pretty, but doesn't the butterfly need them? Kind of sad to tear off its wings for jewelry. Joyce - read my Winged Art by Athenianaire post for details about her butterfly jewelry. All butterflies are purchased after natural life from legal conservation farms and that supports them in their efforts to shelter more species.